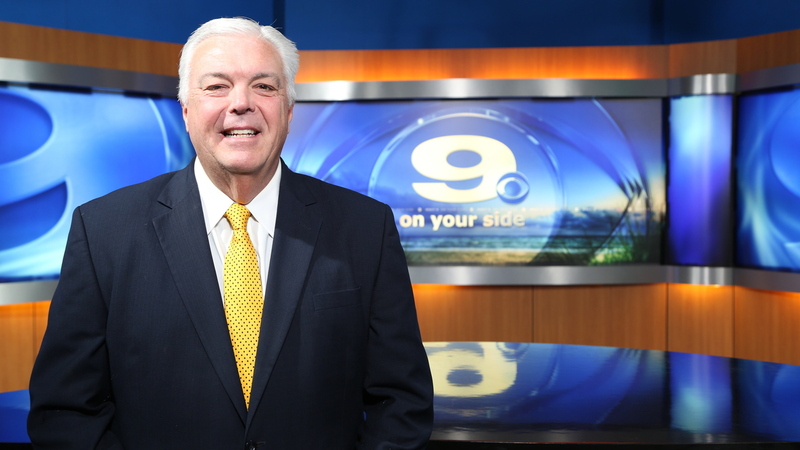 Brian Bailey joined the WNCT 9 On Your Side news team in October of 1984. He is currently an anchor and the sports director for WNCT 9 On Your Side. He also hosts and produces “Touchdown Friday”, the longest running high school football show in the area. Brian’s anchoring duties include WNCT 9 On Your Side at 5, 6, and 11 p.m. He joined WNCT as a news reporter and weekend sports anchor. He was then promoted to Sports Director in April of 1986. Brian’s sportscasting career began in Chesapeake, Virginia, where he broadcast high school football and basketball games for local radio and cable television. Brian was born in Bluefield, West Virginia on July 16, 1962. He grew up in Chesapeake, Virginia and is a 1980 graduate of Indian River High School. He graduated from Old Dominion University in 1984 with a Bachelor of Arts Degree in Speech Communications. Brian is a 22-time award winner by the North Carolina Associated Press. He was named the Professional Broadcaster of the Year by East Carolina University in 1988. He has also been honored by the Raleigh Hot Stove League, the Pitt-Greenville Hot Stove League, the North Carolina High School Baseball Coaches, North Carolina Special Olympics, Pitt-Greenville Special Olympics, and by the City of Greenville for community service. He is married to the former Melissa Taylor Davis of Rocky Mount. Brian is the father of a daughter, Kaitlyn, 29, and a son, Ryne, 25. He is the step-father of Storm, 17 and Bella, 13. Brian serves on the Board of Directors for the Greenville Chapter of the Cal Ripken Sr. Foundation. He has worked with Beau’s Buddies, a cancer awareness group and with Special Olympics in Pitt County. He coached the Carolina Diamonds, a fastpitch travel team from 1999-2005 and has coached the Cubs in the Exceptional Community Baseball League for special needs children from 2006 to the present. Brian is also an officer in the ECBL.